One of Edmonton’s most futuristic buildings has been protected for its historic value. One of Edmonton's most futuristic buildings has been protected for its historic value. City council on Tuesday approved the designation of the Queen Elizabeth II Planetarium in Coronation Park as a municipal historic resource. The domed structure "is distinguished as an early example of Modern Expressionistic style in Canada," the city said in a news release Wednesday. "The design was likely influenced by the popular fascination with space-age design in the 1950s," the city said. "It has the appearance of a spacecraft hovering off the ground." "That's fantastic news," said Alan Nursall, president and CEO of Telus World of Science. "It was the first of its kind in Canada — the first public planetarium — and that brave decision back in 1960 has led to a legacy of 60 years of science education in Edmonton." The city and the Telus World of Science have an agreement to restore the iconic building. The $6-million project involves adding public washrooms and renovation of approximately 70 per cent of the facility into multi-purpose space. The central planetarium space will be turned into a programming space that could be used as a production studio, Nursall said Wednesday. All of the money for this work is coming from the city, he added. The design work is progressing. Construction could begin late spring 2017 with the final completion target set for summer 2019, Nursall said. "The building is owned by the city and was falling into some serious disrepair," said David Johnston, the city's principal heritage planner. "Literally, chunks of concrete were falling off the overhangs over the doors, and a bit of vandalism — some of the windows get broken occasionally." The building was closed almost a decade ago and had only been put to use once in a while since then, said Nursall. 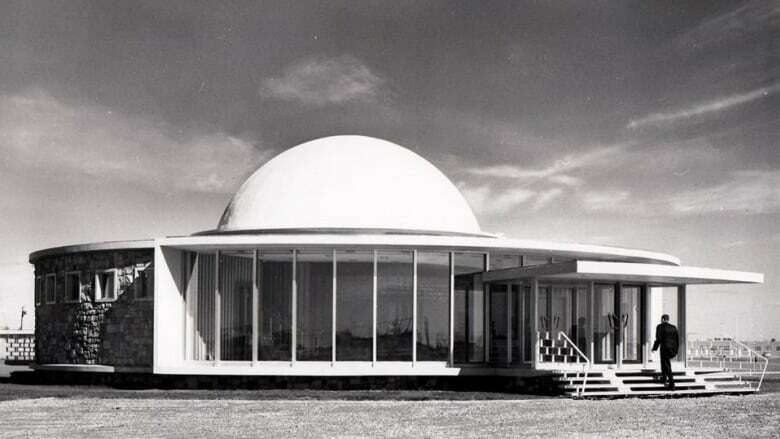 The planetarium opened Sept. 23, 1960. The site had been dedicated by Queen Elizabeth during her first royal visit to Edmonton in July 1959. The building is associated with Robert Falconer Duke, city architect at the time, but was largely the creation of Denis Mulvaney, an architect with the city until 1961. Mulvaney was also responsible for the design of the original Storyland Valley Zoo. He moved to Sydney, Australia in 1961, where he was involved in the design of the Sydney Opera House.